Home » Posts Tagged "Constipation"
There are two basic kinds of constipation. The first is called atonic, which is a lazy bowel. The second is spastic, which is the narrowing of the colon with small, ribbon-like stools. For atonic constipation, a high fiber diet and increased fluid intake is recommended. Once the problem has gone away it will be necessary to retrain the bowel, as explained below. 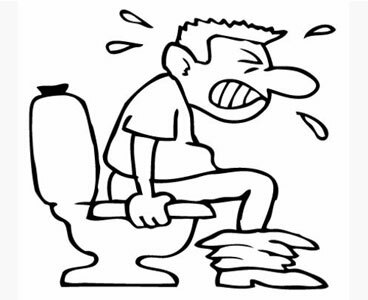 Spastic constipation may be caused by nervousness, anxiety or an obstruction like plaque and parasites. Constipation: Death begins in the colon. You are suffering from constipation if your bowel movements are infrequent, uncomfortable and the stools are small and hard.